Ubu Gallery presented Yoko Ono’s “automatic” drawings from Franklin Summer and the Family Album objects: bronzes of everyday items (e.g. 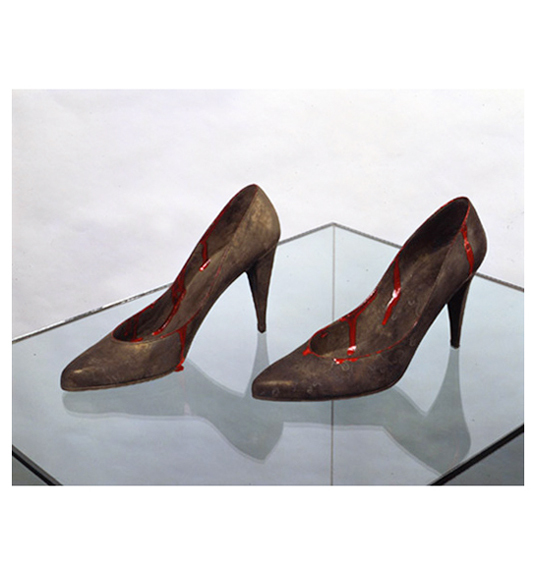 a splintered bat, a mirror, a high-heeled shoe) splattered with blood red pigment. 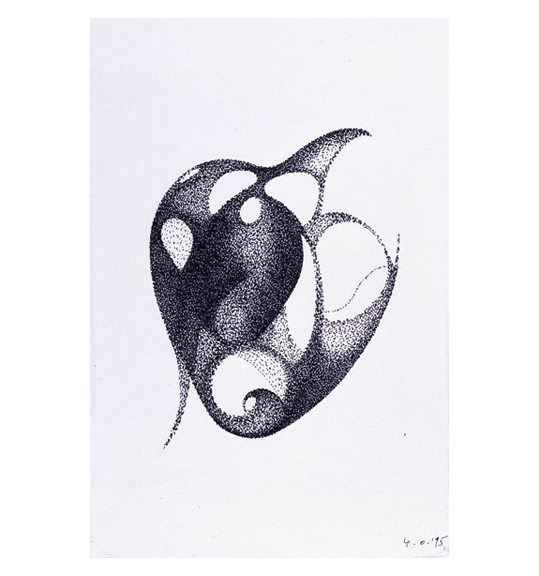 These objects, containing Ono’s metaphoric and poetic response to violence experienced both globally and at a personal level, were contrasted with the spontaneous pleasure and biomorphic references evident in the Franklin Summer drawings. 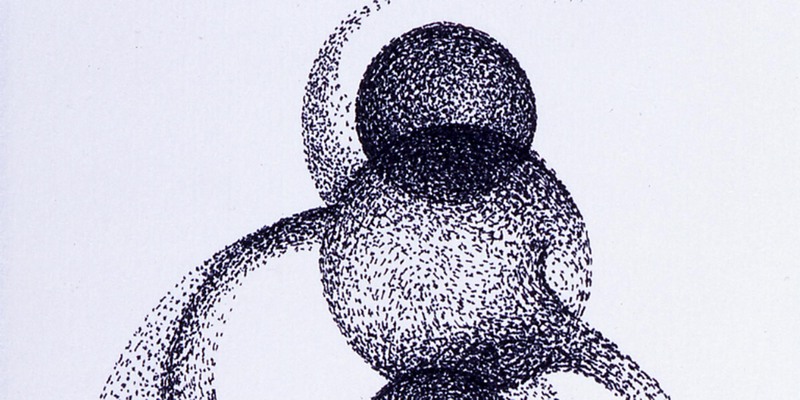 Ono wrote of these works, “The dots accumulated into a mass, and figures emerged from them… It was very much like what one goes through in meditation…” In this group of drawings, she embraced the quiet and poetic sensibility of her earlier works where through directness and simplicity she engages the viewer with her process.